Are you light on your feet? Are you patient? Foreign countries, especially emerging markets, operate on their own time cycles. Patience is more than a virtue. It can take months, sometimes years, and sometimes decades to build relationships, earn trust and begin to understand the subtleties of a foreign culture. I know what you must be thinking, “I don’t have years or decades, I need my business to succeed now.” It will succeed, but only to a limited extent at first or maybe for just a short flash-in-a-pan moment. Yet to truly operate in foreign markets and have a credible chance for a sustained success, patience has to become a staple of your character, as you need to plan for a long haul. Still, you have to be prepared to move at a moment’s notice when things adversely change or when an opportunity appears one moment and just as suddenly disappears the next. Whether it is a medical emergency, a raid or attack on your company, or a sudden business opportunity in a different market segment, you have to be prepared at all times. You must be flexible and decisive in your moves. Officers of SWAT teams across the U.S. who train patiently train and spend 99% of their time waiting, only to be ready to immediately spring into action during an emergency, business leaders have to be ready to do the same. Advanced planning is critical. Oftentimes, as in this chapter’s “OPIC in Ukraine” story, multiple false starts occur despite credible and sustained efforts. These may undermine confidence, weaken resolve and diffuse focus. Yet, if the opportunity looks fundamentally solid and attractive, it is very important not to succumb to the malaise when you feel like you are getting nowhere fast. When you assess an opportunity, you must run sensitivity analyses and test the profitability over much longer gestation periods. What do I mean? I was involved in a large transaction, which produced a healthy seven-figure return, but took seven! years to close. And when you compare the annual return with the time spent, overhead and risk, the transaction still made sense. A long-term outlook is as important as balancing stamina and patience against immediate reactions to unexpected developments. A bit on bureaucracy. Internal organizational bureaucracy has killed many fantastic domestic and international business opportunities. An organization should be light enough on its feet to react quickly when a problem or an opportunity arises. There are two objectives, especially with opportunities with long maturity cycles. To manage the expectations of upper management back home and to attain enough autonomy at the operations level to react quickly to opportunities that arise in‑country. Expectation management is particularly critical because people at headquarters do not have the same view and understanding of what goes on in foreign countries. Most managers back home look at everything through a domestic prism — quarterly reporting to shareholders, funds invested in a foreign market, development, and payback on investment. Any excuses from overseas about why a given transaction has not yet closed or why a representative office has not yet registered to begin operations only exacerbate the irritation, invite needless scrutiny and second-guessing, and increase tensions between the international team and the home office. Thus it is vital for the international business management to present a true and realistic picture of any potential undertaking. Outline risks, potential problems, time delays, etc. Obtain a buy-in and formal approval from headquarters and provide regular proactive updates, which do not look like whiny excuses. You also need autonomy, so the opportunities should be presented to the senior management in much the same manner: full analysis, realistic expectations, possible scenarios and a firm request for a mandate to act without hindrance. External bureaucracy, i.e., in both the host country and the U.S., can try anyone’s patience and regularly impedes deals that are not properly managed. A lot of times, setting up a business presence abroad is much different from the process at home and often much more complex, formal and less pleasant. Some goods and services require licensing from the U.S. State Department or other authorities. Obtaining other government approvals, sovereign guarantees or business licenses can be arduous tasks. But these bureaucratic prerequisites are essential and cannot be bypassed. Thus, anyone contemplating a transaction with an uncertain completion date has to understand the entire path, pay absolutely phenomenal attention to details. I cannot tell you how many times I have seen contract signing delayed because a U.S. party did not have a corporate seal on hand for execution. We barely use corporate seals in the U.S., but in many countries they are a vital part of doing business. Plan for what you will do once the local registration is completed, or local license is received. Write it down, assign responsibilities, obtain a buy-in from all the parties, and use project-planning tools, if appropriate. Assign project expeditors to prod the project along and to keep the momentum going. Be prepared for ups and downs. Finish lines always appear closer than they really are and sometimes you really are so close and yet so far. Finish lines sometimes even disappear from sight and a process has to begin anew. Thus be patient, yet nimble. The following series of press releases tell a story of an international problem, which took years to solve and one, once solved, had a profound impact on our business. We waited and waited and, as the issue was finally resolved, pounced to seize the lead and become dominant advisers for OPIC financing in Ukraine. NEW YORK, Jan. 19, 2010 /PRNewswire/ — Tomorrow, Broad Street Capital Group will present the first “Fluent in OPIC” workshop to assist U.S. companies wishing to finance and insure investments in the Ukrainian economy. This workshop is possible due to Overseas Private Investment Corporation’s (OPIC) return to Ukraine after more than 10 years. OPIC, a U.S. government agency, which provides foreign policy-based project financing and political risk insurance for infrastructure, energy, microfinance and developmental projects in more than 150 countries, which involve U.S. investment, was closed in Ukraine for the past decade. Prior to suspending its activities in that market, OPIC provided more than $254 million in financing and insurance to 21 projects in Ukraine, in sectors ranging from manufacturing and construction to energy and financial services. Several weeks ago, after extensive work by a group of top government officials as well as participants from nonprofit and private sector organizations to reach a bilateral agreement, OPIC reopened its programs in that market. Broad Street Capital Group was a mandated party to the negotiations and represented the Ukrainian side. “OPIC is pleased to once again provide support for U.S. investment in Ukraine, a development which we anticipate will send a very positive signal to prospective investors in the country,” said Dr. Lawrence Spinelli, acting president of OPIC. Immediately upon OPIC’s reopening, Broad Street Capital received numerous projects and inquiries from both U.S. and Ukrainian companies on how to specifically use OPIC financing and insurance for projects in Ukraine. Based on the firm’s 15 years of experience financing projects in emerging markets and seven years of experience of working with OPIC, Broad Street Capital professionals created the “Fluent in OPIC™” workshop to address specific issues inherent in developing project finance and insurance structures in the market. 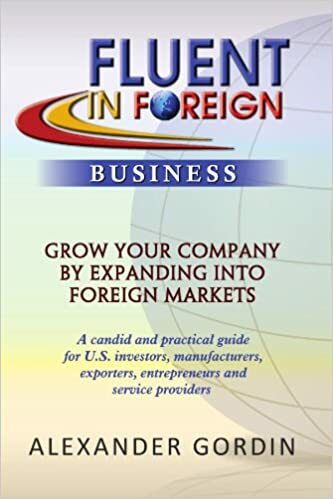 This workshop is the third in the series created by Broad Street Capital under the “Fluent in Foreign™” program which is based on the eponymous book by co-founder Alexander M. Gordin, available later this year. Due to high demand, the Washington, D.C. session and the subsequent Embassy reception are sold out, so two additional workshops, one in Kiev and one in New York, are scheduled in February and March respectively. The “Fluent in OPIC” workshops are being presented in association with the U.S. Ukraine Business Council and in cooperation with OPIC, U.S. Commercial Service in Kiev and the Embassy of Ukraine in Washington. Broad Street Capital’s “Fluent in OPIC” workshop will present a comprehensive, practical, “beyond the website” look on how to effectively use OPIC to finance or insure business transactions in Ukraine. The sessions will address the application process, deal structures, sponsor requirements and commitments, approval procedure, realistic timeframe estimates, costs, fees and legal and developmental issues. WASHINGTON, Dec. 17, 2009 (UBO) — Paving the way for millions of dollars in potential U.S. private sector investment in the country, the Overseas Private Investment Corporation (OPIC) has restored its programs in Ukraine, following the signing on December 16 of an agreement resolving a dispute over an insurance claim paid by OPIC. By virtue of the agreement, OPIC is now able to provide financing and political risk insurance to American companies investing in Ukraine. Previously, OPIC had provided more than $254 million in financing and insurance to 21 projects in Ukraine, in sectors ranging from manufacturing and construction to energy and financial services. “OPIC is pleased to once again make available its support for U.S. investment in Ukraine, a development which we anticipate will send a highly positive signal to prospective investors in the country,” said OPIC Acting President Dr. Lawrence Spinelli. “This historic occasion is indicative of Ukraine’s ongoing efforts to improve its investment climate, and we commend the Ukrainian government for its hard work in bringing about this result. We look forward to working with both U.S. and Ukrainian businesses to facilitate new levels of American investment in Ukraine.” The signing of today’s agreement was the culmination of a series of steps leading to full restoration of OPIC programs in Ukraine, including the November 2008 conclusion of a memorandum of understanding between the two governments, and the July 2009 passage in the Ukrainian Cabinet of Ministers of a resolution facilitating settlement of the dispute. USUBC played key role in settlement “The opening of the U.S. government’s Overseas Private Investment Corporation’s (OPIC) program for Ukraine is a great victory for Ukraine and the United States and will lead to a considerable increase in U.S. business investments in Ukraine,” said Morgan Williams, head of the SigmaBleyzer government affairs office in Washington, who serves as President of the U.S.-Ukraine Business Council (USUBC). “Getting OPIC open for business once again in Ukraine has been a top priority for the members of USUBC for many years” Williams said. “USUBC has worked with the U.S. and Ukrainian governments on this issue especially in the last two years and received considerable assistance from former U.S. Ambassador to Ukraine William Taylor, William Klein, a member of the U.S. Embassy Economic Team, Prime Minister of Ukraine Yulia Tymoshenko and Hryhoriy Nemyria, Vice Prime Minister for European and International Integration of Ukraine.” VPM Nemyria is in Washington, D.C. today for talks with the IMF and will make a presentation at noon at the annual meeting of the members of USUBC. “USUBC is so pleased that the person in the Ukrainian government who did so much to solve the OPIC issue will speak on this issue in Washington today. Former U.S. Ambassador William Taylor is in Iraq today so will not be able to celebrate this victory in person with VPM Nemyria,” Williams said. The settlement has been many years in coming The original dispute involved OPIC payment in 1999 of an insurance claim to the U.S. sponsor of a project in Ukraine. A prolonged inability to settle the dispute resulted in suspension of OPIC programs in the country. OPIC was established as an agency of the U.S. government in 1971. 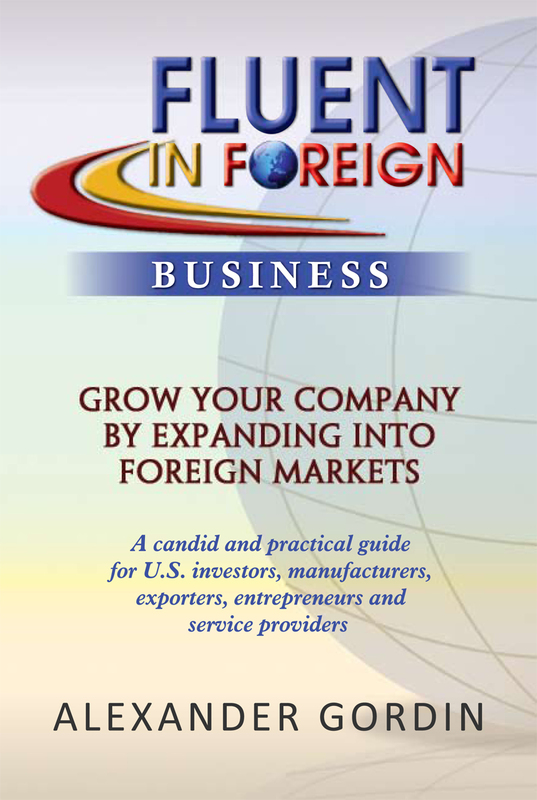 It helps U.S. businesses invest overseas, fosters economic development in new and emerging markets, complements the private sector in managing risks associated with foreign direct investment, and supports U.S. foreign policy. this past year has been the fact that all the economic development programs of the U.S. government’s Overseas Private Investment Corporation (OPIC) are closed for Ukraine (http://www.opic.gov/). USUBC has been speaking out about this critical issue at meetings, in Washington and Kyiv, with every top Ukrainian and U.S. government official who has some responsibility regarding this major problem. USUBC will continue speak out loudly and often regarding this issue until it is resolved and OPIC is open for business in Ukraine. is encouraging the two governments to have the issue resolved by March 31, 2008. A SIMPLE PROBLEM MADE COMPLEX. The matter involves the non-payment of a state debt incurred by the Ministry of Defense about ten years ago at a time when the needs of various ministries were seriously under-funded and ministers were prone to making deals first and worrying about payment later. The matter is further complicated by the nature of Ukraine’s budget process. No government has wanted to debate the debt in parliament so it has never been made a part of any annual state budget. The most recent top-level discussions came during a visit to the United States by then-Prime Minister Viktor Yanukovych in late 2006. At the time Yanukovych promised U.S. officials during discussions that the matter would have his personal attention and would be settled in a very short time. However, the Yanukovych government neither paid the amount owed nor requested or agreed to negotiations to adjust the amount owed. ”OPIC programs are being used all over the world to spur development and USUBC thinks that the inability of Ukraine to solve its OPIC problem has cost the country at least one billion and perhaps several billions of dollars in lost investment opportunities. In effect, a failure to solve theodicy issue has a negative effect on Ukraine’s ability to create jobs and wealth for all of Ukraine’s citizens. ”For example, in the autumn of 2005 OPIC conceived and was ready to implement a USD 100 million private equity fund program for Ukraine. ”I have been told on the back channel by top U.S. government officials in Washington that the total value of OPIC programs that could be implemented here within a relatively short time might have a total value of as much as USD 500 million. “However, it is the government of Ukraine that must turn the key to open what is literally a treasure trove of new investment and risk guarantee opportunities. I hope it will make the effort necessary to find the solution needed,” Williams concluded. and at other online booksellers. Alexander, you make some excellent points and you can readily see the knowledge you possess when it comes to international business. I have been trying to work (and find) those companies that are new-to-export and provide assistance, notwithstanding, my primary focus on delivering services domestically (here in the USA) to those companies which are considering the markets stateside for their products or services. I already wrote to you and I appreciate that you took the time to respond. I will also consider the support that you can provide should I come across a serious inquiry about exporting. Your story about scientists in Belarus stikes the cord and is extremely a propos to the ever-multiplying cultural issues of today’s international business.